We are responding to the flash floods in India now. Join us in saving the lives of families and children affected by flooding. Our response teams are already on the ground, actively coordinating with the local government to provide immediate emergency relief to flood affected areas in India. We are providing food, water, shelter, ‘Child-Friendly Spaces’ and education support to families in need, but we need your help to continue. 32 million people, half of which are children, have now been affected by the flooding and we only expect this to grow as the monsoon season continues into September. 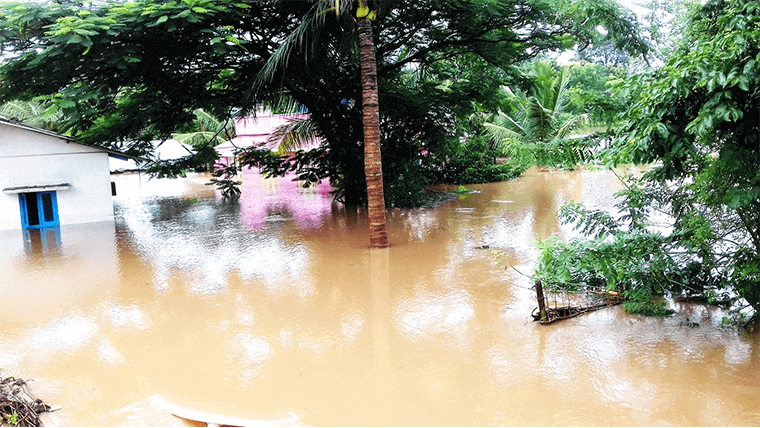 Already, these are the worst floods the Indian state of Kerala has experienced in a century. Any gift you can make today will go directly to help save the lives of children and families affected by flooding. £65 can buy a temporary shelter for a family, furnished with sleeping mats, blankets, mosquito nets, towels, cooking utensils and a torch.